You can’t let people scare you. You can’t go your whole life trying to please everyone else. You can’t go through life worried about what everyone else is going to think. Whether it’s your hair, clothes, what you have to say, how you feel, what you believe and what you have. 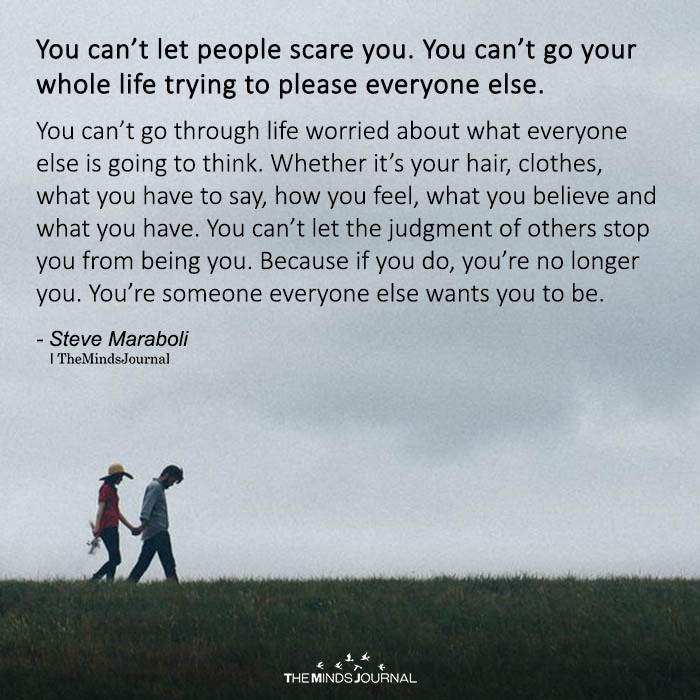 You can’t let the judgment of others stop you from being you. Because if you do, you’re no longer you. You’re someone everyone else wants you to be. Randall McLean it’s called peer pressure, it’s called society, it’s called advertising fear mongering, it’s called many many things.